The Arden House Guest House has a convenient location, within easy reach of all that Harrogate has to offer, including the town's exhibition and conference centre. A private bathroom with a shower and a selection of toiletries is included in each room, which also has an LCD TV, free Wi-Fi access and tea and coffee making facilities. 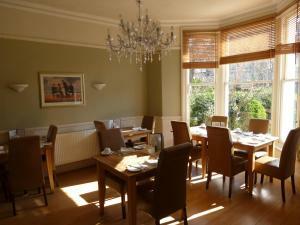 Arden House is fully licensed, with a well-stocked residents' bar. There is a private car park with security lighting.